Washington (AFP) – The death toll among Afghanistan’s security forces is nearing 30,000 since the start of 2015, Afghan President Ashraf Ghani has said, a figure far higher than anything previously acknowledged. Ghani appeared via video link this week at the Johns Hopkins School of Advanced International Studies in Washington, part of a university he once taught at as a professor of anthropology. 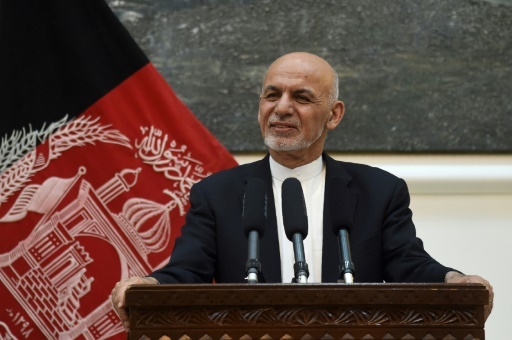 Since the start of 2015, when local police and army units succeeded NATO as bearing responsibility for Afghanistan’s security, “28,529 of our security forces have lost their lives and become martyrs for our freedom,” Ghani said. In the same timeframe, 58 Americans have been killed, he said. “I would like to salute the patriotism of the Afghan security forces, every single one of whom is a volunteer,” Ghani said. The rate at which Afghan forces are dying has long underscored the fragility of the country’s security situation, the Taliban’s continued strength and raised questions about US claims that the Afghan troops are becoming an increasingly effective fighting force. In 2015, an estimated 5,000 Afghan security forces were killed and another 15,000 wounded. The toll increased in 2016 and appears to have accelerated again in 2017 and 2018, contradicting a claim by general John Nicholson, who recently retired as head of NATO and US forces in Afghanistan. In November 2017, he said casualty rates among Afghan security forces had started to drop as the US increased the tempo of air strikes against the Taliban and as reforms kicked in. In a recent report, the US Special Inspector General for Afghanistan Reconstruction (SIGAR) cited the NATO mission in Kabul as saying this summer’s toll has been worse than ever for Afghan forces. “From the period of May 1 to the most current data as of October 1, 2018, the average number of casualties the (Afghan forces) suffered is the greatest it has ever been during like periods,” SIGAR said. Mattis this month said more than 1,000 “Afghan lads” were killed or wounded just in August and September. More than 17 years since the US-led invasion of Afghanistan, the conflict grinds on and America is trying to find a way out of the war. US envoy Zalmay Khalilzad hopes to start a peace process with the Taliban, and on Saturday he met with Ghani. Ghani’s full comments can be viewed at: http://u.afp.com/oHyk. Featured Photo: AFP/File / WAKIL KOHSAR. Afghan President Ashraf Ghani during a press conference in Kabul this year.